The title of this book arrived one day out of the blue and no one was more surprised than me when I decided to write. It had never occurred to me before to write and publishing a book was certainly not on my agenda. 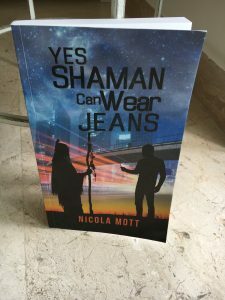 This is the magic of synchronicity at work and the intention of the book to share simple tools and ancient wisdom with you, regardless of who you are or where you have come from. These teachings encompass everyone and are for everyone.